United States President Donald Trump on Monday said he would be "so lucky" if former Secretary of State John Kerry would run for President in 2020. Taking to his Twitter, Trump said, "I see that John Kerry, the father of the now terminated Iran deal, is thinking of running for President. I should only be so lucky - although the field that is currently assembling looks really good - FOR ME!" Trump's remarks come in the wake of Kerry's interview on CBS' "Face the Nation," wherein the 2004 Democratic nominee for President didn't eliminate a potential bid to run against Trump in 2020, saying that talking about it is a "distraction," The Hill reported. "Talking about 2020 right now is a total distraction and waste of time. What we need to do is focus on 2018. We need to win back the confidence of the country to move in a better direction and to do it in sensible ways. We are in a moment of crisis for our country. The world is in a moment of crisis," said Kerry. Kerry further stated that he would "continue to be an activist" in issues where he was involved as the Secretary of State such as the Iran nuclear deal and the Paris climate accords. "I'm going to continue to fight," Kerry said. 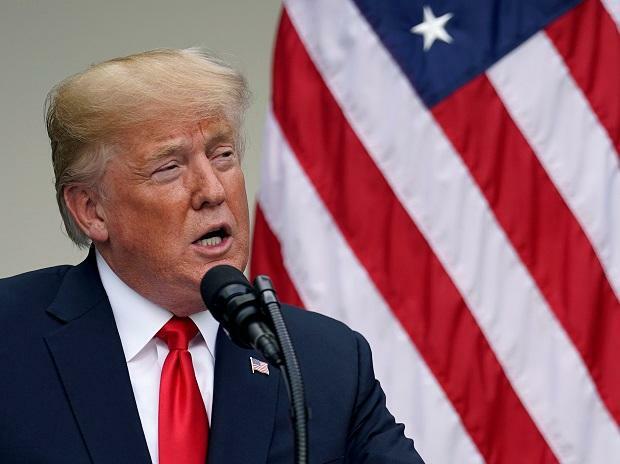 He also said that US decision to withdraw from the Joint Comprehensive Plan of Action (JCPOA) or the Iran nuclear deal "weakens our security, breaks America's word [and] isolates us from our European allies." "Unfortunately, and I say this sadly, more often than not, he really just doesn't know what he's talking about. He makes things up. And he's making that up, as he has other things," Kerry was quoted as saying by Sputnik. While rejecting Trump's allegations for the JCPOA being weak and damaging for the US, Kerry said that "only the United States walked away" from the deal while France, China, Germany and the United Kingdom tried to preserve the deal.